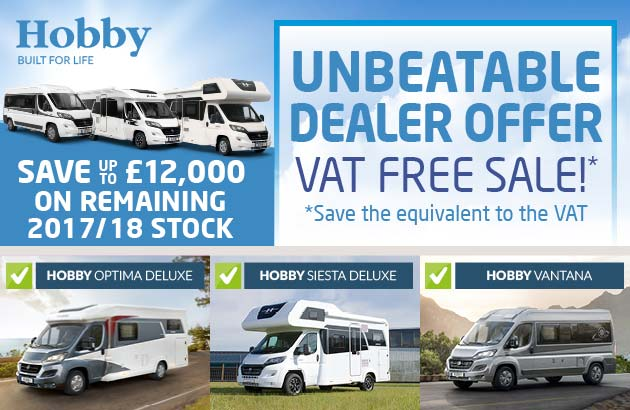 E S Hartley are excited to announce the Hobby VAT free sale now on at both dealerships until 31st March. The sale includes all previous hobby models including the popular T65 HFL and T65 GE with up to £12,000 discount. Catch E S Hartley at the Harrogate Motorhome Show 22nd March – 24th March to see all the models on show. Call 0151 350 6871 or 01539 822450 for more information.